Barcelona and Manchester United will face each other in the pick of the Champions League quarterfinal matchups. United defied the odds in reaching the last eight, as it progressed past Paris Saint-Germain on away goals after a 3-3 aggregate draw despite losing the first leg at home, 2-0. If United is to get to the semifinals it will certainly have done so the hard way, as it is due to face LaLiga champion Barcelona and Lionel Messi in the quarterfinals. 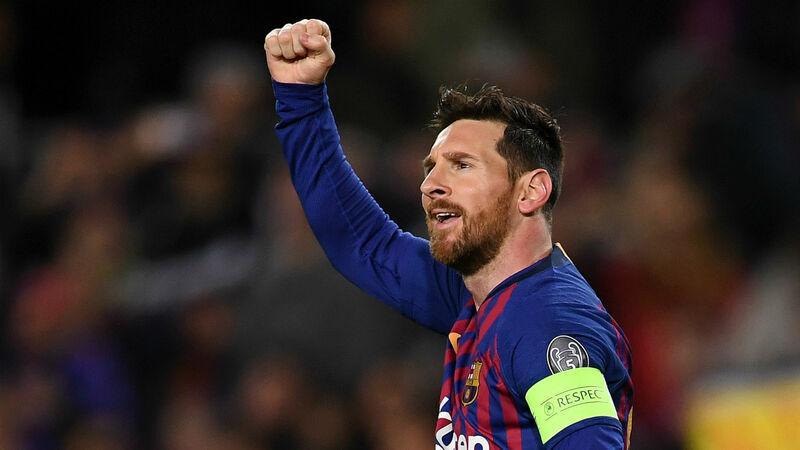 Ernesto Valverde’s men trounced Lyon, 5-1, on Wednesday — Messi starred with two goals and assists – to ease into the next round, having played out a goalless stalemate in France. Whoever progresses from the Barca-United repeat of the 2008-09 and 2010-11 finals will play the winner of Liverpool vs. Porto, who defeated Bayern Munich and Roma, respectively, in the round of 16. Jurgen Klopp’s Reds are among the favorites having gone all the way to the final last year before losing to Real Madrid. Ajax impressively beat the defending champions, 5-3, owing much of that to a virtuoso display from Dusan Tadic in the 4-1 win at the Santiago Bernabeu last week. Their reward is another major challenge, as they prepare to go up against Juventus and Cristiano Ronaldo, who inspired their turnaround against Atletico Madrid — scoring a second-leg hat-trick to secure a 3-0 win as they battled back to progress 3-2. The other tie is an all-English affair, with Manchester City and Tottenham set to tussle for the right to play against Ajax or Juve in the last four.